Did you know that you can sync both an Android phone and tablet with just one license of CompanionLink for Outlook? When you’re syncing Android devices with Outlook, we’ve designed a feature that allows you to swap devices in CompanionLink 5 for Outlook without adjusting any other configuration. The secret lies in our USB and WiFi sync options. Simply switch the phone and tablet at any time – there’s no extra configuration required – and your data will sync effortlessly. Note that this only works when syncing via USB and WiFi. For syncing multiple devices via CompanionLink Secure Hosted, Google, or Windows Live, you’ll need CompanionLink Express 5 or CompanionLink Professional 5. While this is a great little feature, it’s really only the beginning. More and more people are beginning to use multiple mobile devices on a daily basis. We intend to continue our efforts to make syncing your data to all your devices as simple and seamless as possible! Apple announced the latest update to their iPad line today, dubbed simply “the iPad.” It would seem that Apple is moving away from the numbered naming system. Don’t let the name fool you, however, the new iPad is a significant improvement on the iPad 2 in many ways. Perhaps the most notable difference is the new 2048×1536 pixel Retina display. The hi-res screen makes images and videos pop with unparalleled clarity. Add in the optional 4G LTE speeds, quad core graphics processor, enhanced camera, and built-in dictation features, and you get the most powerful iPad yet, and perhaps the most powerful consumer tablet currently available. Learn all about the new iPad over at Apple’s site: https://www.apple.com/ipad. And if you need to sync the new iPad with Outlook & more, CompanionLink and DejaOffice will work right out of the box! The core operating system is the same, and we’re already testing iOS 5.1 – the update version that the new iPad will ship with – on our current iPads. Watch this blog for any updates on that. In the meantime, we’d love to hear your thoughts on the new iPad. Will you be buying one? November 2nd has proven to be a rather popular day for new devices – HTC, Samsung, and T-Mobile have all released new devices today. HTC has released the Radar 4G – a new Windows Phone 7 device at an attractive price point. Meanwhile, Samsung unleashed the Galaxy Tab 10.1 on T-Mobile’s 4G network. And lastly, T-Mobile is bringing two new MyTouch phones to the table: The aptly named T-Mobile MyTouch and the MyTouch Q. To be fair, this is not a review of the PlayBook. We haven’t had the chance to get our hands on one yet (though we’ll be getting ours tomorrow). That said, we cannot help but wonder why the PlayBook is shipping without any sort of native email or Personal Information Manager (PIM) applications, such as contacts, calendars, etc. Yes, it is possible to “tether” your PlayBook with your BlackBerry phone to get this PIM data on the tablet, but that’s not a complete solution. While many of those who buy the PlayBook will have BlackBerries, not all will! For those users, the only option is a browser-based solution, like Google. Of course, in the long term, there will be other solutions. For one, RIM has stated that native applications will be coming. As to when exactly that is, we don’t know. 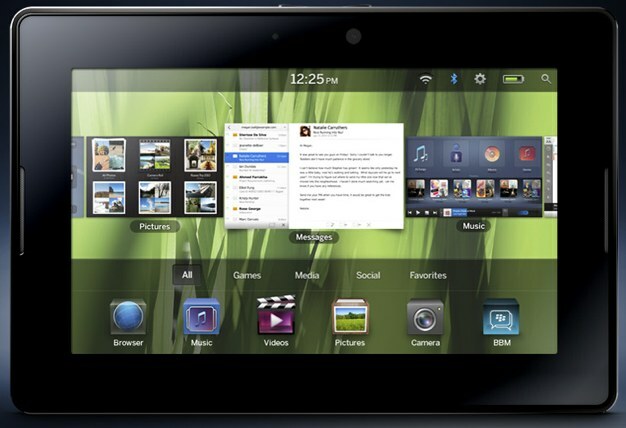 For users who are getting their PlayBook tomorrow, though, this feature can’t come soon enough! The other solution is Android. RIM has announced that the PlayBook will be able to run Android apps, like our own DejaOffice. This capability is expected to arrive via software update this summer. We’ll have more information for you on this as soon as we know more ourselves. 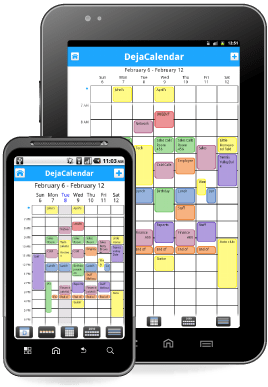 That said, at this point we are expecting to support DejaOffice on the PlayBook via Android. In the meantime, we’ll be getting our PlayBook tomorrow and exploring our immediate sync options. We’ll keep you posted! 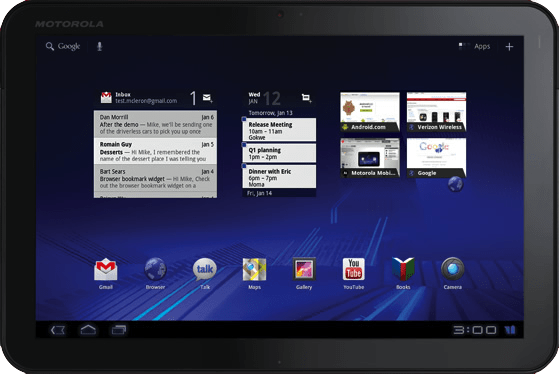 Motorola recently released their latest Android-powered tablet, the Xoom. 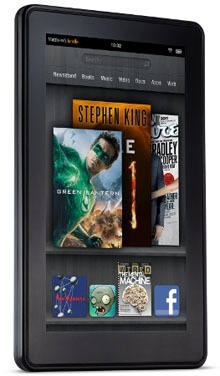 The Xoom is available from Verizon and runs on Wi-Fi as well as the Verizon’s 3G and 4G/LTE networks. Sporting a dual-core processor, Android 3.0 (Honeycomb), a 10.1” widescreen HD display, and more, the Motorola Xoom has a lot to love, but it unfortunately lacks an easy way to sync with Microsoft Outlook and other PC applications. Using CompanionLink it is now possible to sync contacts, calendar, tasks and notes between the Xoom and PC software such as Microsoft Outlook, ACT! by Sage, Palm Desktop, Lotus Notes and more. You can sync via local WiFi, Secure Hosted wireless sync, or wirelessly via Google. At this time, our wired USB sync is not available as Android 3.0 does not currently support SD storage. This is an issue we anticipate will be resolved fairly quickly. In the meantime, we recommend local WiFi sync as the closest alternative to wired USB sync.